The Basic Applications Course covers system architecture and the basic functions of the system. It then teaches the student how to write test programs, and how to program the basic analog boards in the system. A series of Advanced Applications Training Classes are available for the additional features of the system. These include the Digital Subsystem, TMU, Waveform Generator, Waveform Digitizer, PMU, DDS, and the various PTH boards. 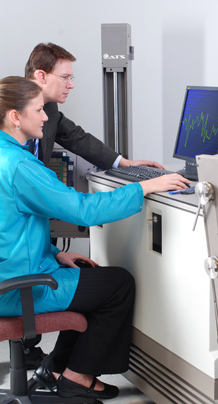 Specialized training is available for the DSP and Multisite Testing capabilities of the system. Basic and Advanced maintenance courses are available. The Basic Maintenance course concentrates on troubleshooting, repair, calibration, and Preventative Maintenance of the basic system. The Advanced Maintenance class covers troubleshooting techniques for less common problems where changing boards does not solve the problem. It also covers techniques for repairing systems that pass all diagnostics, but have low yield. Classes are also available for special system options such as high power and high voltage power supplies.